temperatures in Canada can drop from 0 degrees Celsius to -23 degrees Celsius in January. You don’t want to deal with such low temperatures with no heat source in the house. December and January are among the coldest months in Canada, a reason the heater or furnace almost always stays on all day, every day. These appliances take on a lot of strain during this time, a factor that can cause various issues to arise. This article outlines 10 of the most common causes of heat and furnace issues, how to spot a problem, and how to detect them before they escalate. Dirty or clogged air filters are a nightmare for your heater. Clogged air filters cause restricted air flow which make the heater work a little harder to push enough heat into the living space. 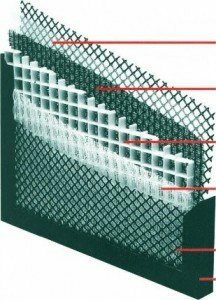 This high temperature operation can actually damage the heat exchanger and limit safety control. Although a simple issue, clogged filters can put too much strain on the fan motors causing them to overheat or even break down. A clogged filter is also a potential fire hazard that should be checked and fixed on time. Often in summer, homeowners may close diffusers in the base in an attempt to push more air to the higher floors during the cooling season. These should be opened in fall again so as not to decrease the design CFM for the entire house. Make sure all your diffusers are open, your return air opening are not blocked, and you change or clean your filters on a monthly basis. Parts of the heater will of course wear out over time and require replacement. The most vulnerable parts include igniters, sensors, blower motors, inducer assembly’s, thermostats and control boards. These parts should be checked and tested. Annual maintenance service by a qualified licensed technician is essential for equipment longevity and safety. The thermostat is the control of the furnace or heater. It’s the main component that tells the heater when to start and shut off, in other words, to maintain the set temperatures. A malfunctioning thermostat can have a severe impact on the heater and furnace performance, hence should be fixed as soon as possible. Error messages on the thermostat should also be taken seriously as they could be an indicator of a more substantial problem. Watch for a week battery symbol on the display and always keep a fresh set of replacement batteries on hand. The pilot ignition control, commonly known as the ignition system, plays the principal role of helping the furnace ignite hence produce some heat. It is one of the core elements that should be functioning for the house to be warm and comfortable. While other parts might be working properly, ignition problems mean no heat for you. Nonetheless, hiring an HVAC professional to service the furnace can help solve the ignition problems. Although it might be normal for the heater to produce a humming sound, strange noises from the unit should be checked out. The humming noise mostly comes from the blower and the fan. Nonetheless, any bangs, clangs, rumbles, squeaks, and rattles from the furnace may signal potential problems. Some parts of the appliance might have detached, become loose, or even have debris buildup inside. Have these removed or fixed to prevent a larger problem. The heater isn’t designed to keep running all the time. It however runs in cycles to maintain a constant temperature. Should you notice the fans or heater constantly running for an extended period, it could be because the thermostat or fan motor is malfunctioning. A high fan function is also a default ‘go to’ for the furnace in the event of any overheating signal so if you notice the fan is running but there is no heat, it could be an indication of a plugged filter, or other high temperature issue. If you have to turn the heater all the way up to feel some warmth, then chances are something is broken. Look out for a malfunctioning thermostat, clogged filter, improper HRV settings, or inadequate power supply. Have an expert diagnose the issue. Always check the furnace disconnect switch hasn’t accidentally been shut off by someone in the home. This switch will usually look the same as a normal light switch, but is usually mounted high on the wall or ceiling in the furnace room or at the basement landing. Late model furnaces often have a small site glass in the lower furnace door Power interruptions, a malfunctioning thermostat, or a tripped circuit could be the reason for all these. If you however are running on propane, then there could be a possibility your running low on fuel in the tanks. Check the tank gauges outside and call your propane supplier for a fill before the tanks are completely empty. The flame sensor or gas valve might be malfunctioning as well. If restoring electricity or gas doesn’t seem to correct the problem, you might then have to call a technician. 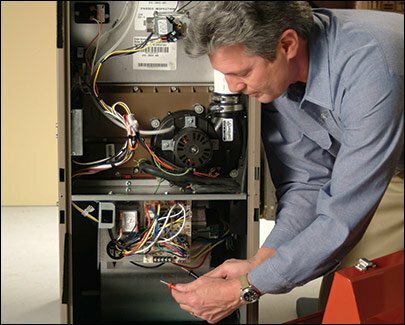 Like any other mechanical appliance, your furnace needs to be serviced and maintained annually for optimal performance. It is by having the unit serviced that the technician can identify any warn or defective parts, condensation leaks, and then fix/replace them on time. Ensuring all movable parts are well lubricated, and especially the motors can also help lower the risk of the furnace breaking down. This should be done before the winter season arrives to be on the safe side. You don’t want your heater breaking down in the middle of winter. If the heater seems to be working well, but energy bills keep getting higher, then chances are something is wrong with the unit. Increased energy consumption may be an indicator of a more deeper issue, clogged air vents, and some form of damage on the heater. Be sure to go through the energy bills, and have the system checked for inconsistencies. Even the slighted alteration in the system can cause the energy bills to skyrocket. Another reason for higher than normal energy costs is the incorrect operation or lack of maintenance of your HRV. This system must be checked and serviced annually as well. An HVAC professional is the only person legally qualified to perform service on gas equipment. Attempting to handle repairs on the heater might only cause more problems. 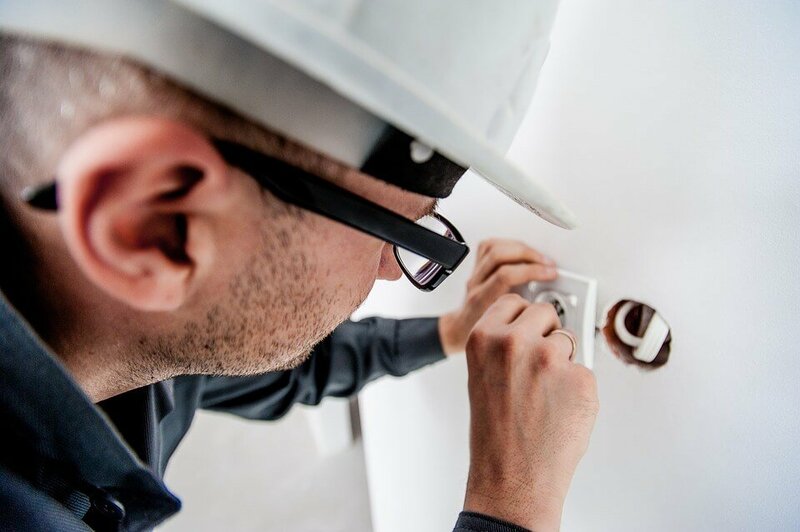 While the technician may be able to diagnose the real reason for high energy bills, it would be advisable to have an energy audit on your house. Regular servicing and maintenance are also recommended. Some heater issues such as a malfunctioning thermostats may only require replacing batteries. Other intricate issues should however be attended to by a trained and certified professional. Poorly installed HVAC systems do attract more of these issues, hence need to be installed correctly.An experience technician can often pick up installer error and present a viable solution. Be sure to schedule annual maintenance inspection, as well as clean the units once in a while to avoid any surprises this winter.